Copenhagen: The US economy will be hit many times harder than the rest of the world by an escalating global trade war, according the chief executive officer of A.P. Moller-Maersk A/S. Soren Skou, who runs the world’s biggest shipping company from Copenhagen, said the fallout of the current protectionist wave “could easily end up being bigger in the US”. The company transports about 20 per cent of the world’s seaborne consumer goods, putting it in a unique position to gauge the fallout of tariffs on trade flows. 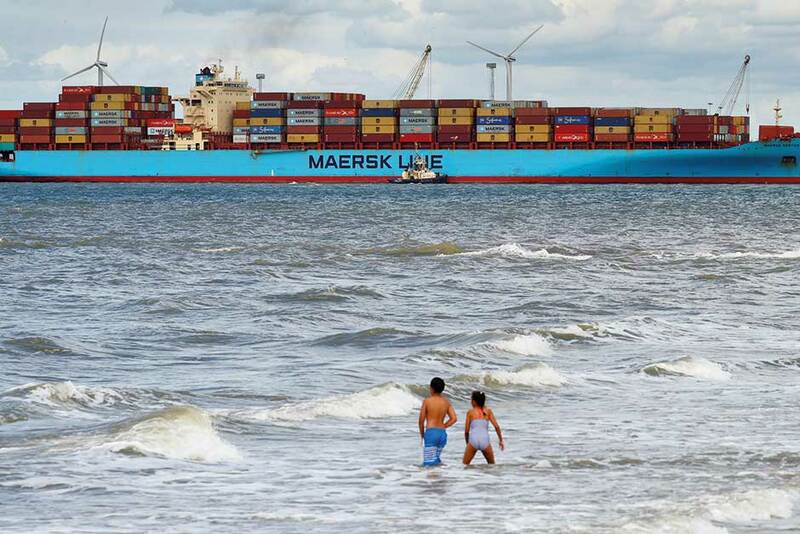 Maersk has in the past broken with its culture of steering clear of any political debate to criticise the trade policies of US President Donald Trump. Maersk focuses on trade flows between Europe and Asia and so far its industry hasn’t been directly hurt by tariffs. In fact, demand grew 4 per cent in the second quarter. But Skou says that may change if the US starts targeting consumer goods. The US put duties on $34 billion (Dh124.78 billion) of Chinese goods last month, citing unfair trade practices by the world’s second-biggest economy. The Trump administration has said it will impose tariffs on a further $16 billion on August 23, and even signalled it won’t shy away from targeting the entire $500 billion in Chinese exports to the US.